Hayes are back. Dominion 4 piston released at Eurobike. Thread: Hayes are back. Dominion 4 piston released at Eurobike. Dominion was the cheapest and by far the most impactful. Well said! I just had my first ride in about 6 weeks and tried the semi-metallic pads for the first time on Dominions. Worked beautiful; power, modulation, quiet! I’ve swapped a lot of expensive parts this year, wish I had tried Dominions before Guides, M9020, Saints, & MT7’s. After sending my Dominions to Hayes warranty with the wandering bite point I have received a new pair. They said they couldn't find what was wrong with them /which could also mean they didn't find anything wrong/ anyway, the new set works just like it should, no more stiffening lever under high braking. However, the rear brake lever throw is a little longer compared to the front. I mounted the new Dominions thinking I would try them how they come before I cut the hoses. To my surprise they were already cut to the right length. /Matching my old set/ Thanks Hayes! I have arthritis in my right index finger and was sometimes having problem to completely lock my xtr/180mm ice tech. Dominions do not require as much force to stop. I also like the modulation. How it has been mentioned before, the lever doesn't stop abruptly, it has a nice soft control at the end, but it doesn't feel spongy. I would compare it to my trusty old Audi, the brake modulation has a soft, light feel, where the power comes gently but surly with a lot of control. They are very intuitive, the adjustment period is short. I am back dealing with the soft rear lever and slight wandering bite point. After few rides with the 2nd set of Dominions (1st one was sent to Hayes for a warranty) I took the bike to my LBS to check a bleed the rear, since I wasn't fully satisfied with the feel. Buddy of mine runs Dominions and they felt much firmer and the stroke was also shorter by a significant amount. Anyhow, they did a great job, much better feel after the bleed. Now, to new set of brakes had the houses cut and were blead originally by Hayes. After the lbs had worked on them they finally felt perfect. Another 5-6 rides an the rear started to feel softer and the stroke became long again. I will take them back to the shop and see if they can fix it. Sounds like it could be a nicked seal, maybe in the master cylinder in the lever. If you pull the lever so it feels firm, hold it there with constant pressure and then the lever starts moving towards the bars I think it'll be a seal. If a brake is setup with the seals not completely retracted/relaxed (i.e. the pistons pumped out a little) then the lever stroke feels artificially short. After a few good rides the pads wear a little, piston stroke is returned with seals fully retracting/relaxing and lever stroke returns to full. The above sounds like exactly your issue. It's not wandering bite-point, but rather them being setup in a transient state. A shop playing with the brakes would result in exactly the same situation again as the pistons go from being pumped out a little to full retraction as the seals settle and pads bed in. Owner of www.shockcraft.co.nz and NZ Manitou Agent. www.dougal.co.nz Suspension setup & tuning. It might be the case. Is there a way how to make the stroke short without pistons being pump out in order to be closer to the rotor? It sounds like the brakes were set up properly. The longer throw is what they do. The shorter throw is temporary. Shorter throw means less pad retraction and dragging pads. The rear brake always feels softer to squeeze than the front as the rear hose is about twice as long so takes twice as much fluid expansion. This is the same for all brakes. There is a secondary adjuster. I haven't tried it. Call Hayes before you do. I was hoping for a shorter throw with these brakes, most of the reviews mention the short dead stroke, which isn't the case at the moment with my rear brake. I also have the dead stroke adjuster set to the shortest. I will make sure the shop won't set them up with the pads retracted. If they cannot be set up with a shorter stroke, I might have to search for a different brakes. Throw is very short until the pads touch, but there is no power there. Throw before you throw yourself over the bars is very long. Longer than most brakes. The lever distance between the pads touching and you being thrown over the bars is where the modulation comes into play. It seems like you are extremely particular in how you like your lever feel. If that’s the case, I suggest you buy a bleed kit and some motul rbf 600 and bleed them yourself. I’m pretty sensitive to brake differences as well and mine are damn good. What I do is set the lever positions to where the “throw you over the bars spot” is even between the two. Just purchased a set of dominions. I am putting a fat bike together and these will be my main halting devices. Would you folks use adapters or go with different rotors. My frame and fork use 180 front and 160 rear and the dominion rotors are just in 203 or 180. I also saw that one person had a rear bite point that comes on later than the front, mine also has this and I was noticing that the rear brake pads release more than the fronts. With those little red pad spacers you can tell the space between the brake pads is a good bit more in the rear than in the front when the levers aren't touched. I haven't even installed them yet. Both levers feel the same once both pads touch the spacers in front and back so I believe they are both bled well. what rotors are you using? Am considering some Dominion's for this winters build. I tend to run my brakes close to the bar. Just wondering with the longer throw, if this will be an issue. For reference have Tech3V4's. 6'2" @ 225. Bite adjust is fully in, and the reach set about parallel and under full power I'm almost touching the grip. Also have some XO Trails on another bike. Nice brakes, good modulation and decent power with a fresh bleed. However they are a pain to get a good bleed, never stay fresh for long, and then you end up with a sponge with wondering bite point. With the Hopes, I get easy bleed, great modulation, solid bite-point but... I want more ultimate power. The bike they are on is a 26" with 203/180. I'm building a 29'r so with the added mechanical advantage of the bigger wheel, I feel the Hopes will be underpowered, so instead of another set, am looking at alternates. Yes I have played with pads, currently Uber RaceMatrix. Well, given that the levers are quite easily adjusted, one of us could certainly test this for you. Can you measure the reach of your existing levers (I assume that's the preferred bar-to-lever distance)? Then we can just click until that reach is set, and pull the levers and measure. I will check and measure the throw numbers in the next day or so when I get access to their secure winter storage. Anyone in the market for a trade for MT7s purchased Nov 18? I'm keen to try out the hayes. Which one is your favorite so far? Magura: amazing power, great modulation, bleeding procedure is really easy. Cons is that they are very finicky to set up in terms of rotor alignment. Hope: very nice lever feel, linear modulation is really good. I really like how they bite point control just changes the angle of the lever to result in quicker engagement - bpc that actually works. Cons: would like a bit more power, I hated bleeding these with a passion. Saints: on/off... didnt really like these to be honest. Trp: lever feel and modulation seems fantastic!! Bleeding is easy. I cant attest to power as I cant ride my wifes bike (she is almost half my weight and 5'6' vs 6'4'). Guides: underwhelming in almost every way. Codes: feel pretty good in terms of modulation and lever feel. Cons: I found it very hard to retract the pistons when bleeding and the solid lever didnt stick around for long. Are the brake levers flippable? If I grab 2 rears, will I be good, or do they require a separate left and right? Yes. Flippable. The only difference between front and rear is the hose length. I have them in stock. Yes and they look great both ways not like some other flippers. Ha, you sound like me bro... the train stops here my friend. Well finally decided on brakes and pulled the trigger earlier tonight. 4. Magura - MT7 - Fragile - too many reports of broken bits. 2. Hope T3V4 - Have on a 26" and like a lot. But on a will be at limits of power on a 29r Hope make a bigger 225 rotor, but not a mount to fit. TRP 223 is not out yet, Trickstuff is backordered and is 100 Euro for their 223. ...and to make life a lot easier on the Hope T3V4's a Hayes rotor alignment tool. So, if all goes well, in about a month or so I will have the bike built and should be able to give them a shakedown. Thank-you all for your dialog and help. Just another shoutout for these underrated brakes. I rode a trail that was probably at my max level for tech, without the recent 2’ deep ruts gouged out by a storm. I crawled down this thing at probably a half mile an hour to keep from going over the bars for about a 800-1000’ descent I’m guessing. I’m a big guy and the 203/180 rotors with semi-metallics performed flawless. No heat marks, no fade, rotors still true as can be. Im impressed. Curiosity got the better of me. Got a set on the way. Wanted to see how these compare against MT7s. The plan is to use them with Magura rotors since they are about the same thickness and I already have them on hand. Going to have to pick up some DOT fluid though. Installed mine today - all I need to do is trim the hoses and I'll be ready to go. Does anyone know the thickness of the bleed block for these? Thank you. Did you buy the bleed kit or did yours come with the brakes? Got it. No need to measure. I was going by the comments made earlier in the thread, which made it sound like no bleed blocks were included. First ride on the Dominions, and I love them. Didn't even push them all that hard from a power standpoint, but did lots of light braking. They feel incredible. My Dominions are still working great, so happy with them. I love mine as well. My MTB sat for a solid 60 days and no issues whatsoever coming back to life once winter finally ended. My biggest complaint with Shimano brakes is contamination (or whatever causes the brakes to act like they are contaminated) from sitting idle. I have forgotten about this a couple of times. Made for some exciting early season rides. Found some DOT 5.1 at Napa for cheap. Brakes should be here by the weekend. ”The first issue I had with these brakes was consistency of lever modulation. Perhaps it was due to the high elevation and steep rocky descents in Peru and Ecuador, or the huge vertical loss over a short span of riding, but after about 2-3 days the lever would pull closer to the bar. I found that resetting the pistons and re-aligning the caliper fixed this, but that fix would only last a couple days. It appears he's also trying to keep the brake in a shorter lever throw than it operates. Which isn't going to work as the brake will keep adjusting to normal lever throw as the pads wear. You're continually fighting what the brake is designed to do. Which is run X amount of lever throw from Y amount of pad retraction. That's quite the test, he's done 53km of vertical descent. 1.5x what I did in total the summer before last on my prototypes. I wore two sets of semi-metallic pads in that time. But could have got more life from them. Not sure why he's bleeding them 4x though. With me, it isn't the case. I don't have it set with the shortest throw, no fiddling with the pads to have them as close as they can be to the rotor. Most of my descends are under 5min. Under heavy braking, we are talking very steep stuff, the lever engages later and comes almost to the bars. This happens very quickly, maybe after 1min of braking. It gets worse with time. After about 6-7 rides the throw gets pretty long and I need to set the lever further from the bars in order for it to not touch the bars. After about 6-7 rides the throw gets pretty long and I need to set the lever further from the bars in order for it to not touch the bars. Then what happens? Does it stay at that engagement point? It moves. When released it goes back and starts engaging where before. But. After few rides the lever throw gets longer and it stays that way. I even tried a new rotor with new pads,which helped for a couple of rides until another demending descent. Also, buddy of mine owns dominions and they feel much better. Much firmer lever feel and short stroke. Hmm...did the mechanic check tab alignment? This kind of sounds like the pads aren't sitting flat on the rotor. This would cause longer lever travel, and softer engagement point. Sounds to me like a bleed issue. If a brake is low on fluid, the lever return can pull the pistons back further. If a brake has too much fluid, the lever will pump up as it gets hot. Not sure. I will check it out. I used to have a bit of both. Maybe after one of my bleeds I overfilled it and had the pumping issue. Now it's the opposite. Anyway, can it change with the pads getting thinner? Yes it can. A bleed with slightly low fluid can feel fine until the pads wear. Then it doesn't have enough fluid. I agree. I had an imperfect bleed on my front brake for 2 rides. It was clearly behaving differently from the rear. I bled the front again and it's been fine for about 200 hours of riding. Including a total hiatus for 60 days this winter - we had a really rough one and I didn't ride anything but my trainer a long while. I definitely saw the imperfect bleed causing troubles when I was setting mine up. I half-assed the bleed the first time around (after trimming the hoses) and got absolutely horrible behavior out of the brakes. Then I stepped back, redid the bleed (properly this time) and they've been solid and dare I say perfectly consistent. jazzanova has second set of brakes, bleed multiple times and it's always rear brake that causes trouble. This made me think - perhaps it is bike not the brake? One option is that the brake caliper mounting is not straight but little bit tilted as compengr suggested. Or perhaps the hose is routed in a such way that is pinched or kinked? If it is FS bike then perhaps during extreme rear wheel movement the hose is stretched too much? Is the rear brake hose internally mounted? Front or back doesn’t matter, a +20 adapter is just that. FWIW, Hope makes some very good adapters. That CNC one in the middle looks good too. The other issue the MTBR rider probably faced is simply cooking the fluid. It's harder to do with DOT than mineral, but still very possible that during descents of that kind of length and intensity that the fluid is done and needs to be properly, entirely flushed and replaced. I saw a lot of pics from folks last summer riding the Breck Epic on XC racing rigs with nowhere near enough brakes who had fluid - whether DOT or mineral oil - that was as black as used motor oil. And the Andes mountains are another level or two above Colorado. Nomad 3. No internal routing. The second set was cut and bled by Hayes. After few rides the rear started to misbehave. My LBS bled this set 2x, each time the same thing happened. The brakes were good for maybe 5-8 rides. What seems to trigger it is some hard braking. After that even on easier trail it kicks in pretty fast, maybe after 1min on descend. And BTW, I am only 140lbs... 180mm rotors. I looked at the pictures of the Nomad. The brake line routing seemed to be well thought out, so my theory does not hold probably. It would be interesting to see how this rear brake behaves on some other bike. I assume you’re running sintered pads? Not that I think it makes much difference but most folks recommend sintered for high heat scenarios. For me personally it hasn’t mattered. Sounds like you’re doing some serious descents but something seems off here. I’m almost twice your weight at 260 and I can’t find a single fault on these brakes with 203/180 rotors. I only descend about 1500’ at a given time though (my max was 3k’ once). 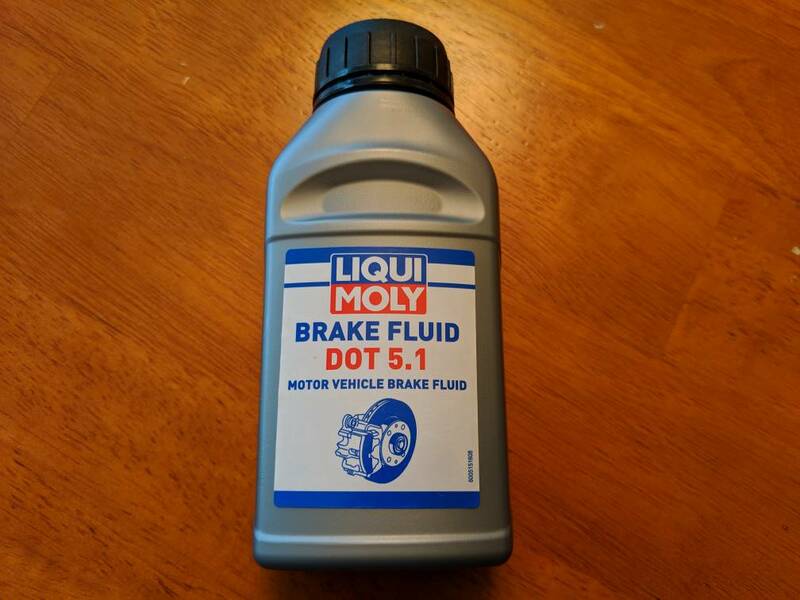 I do use Motul RBF600 fluid (from your local motorcycle shop or amazon) so it’s a little better with heat than regular 5.1. I set my brakes so if I’m really using them hard it’s not that far from the bars, it’s more comfortable for me personally. My bite point is extremely consistent. I’d be curious if you swap your calipers f/r if the problem follows. If the problem stays, then swap levers. If the problem still stays then these brakes just can’t handle your descents. But, it’s quicker and easier to just flush with some good Motul fluid first. I’m sure it goes without saying, but make sure these are always fully bled following the steps in Hayes video anytime the system is opened. For the lever to come in to the bar, the pistons and pads are being pushed or sucked back enough that it's taking a full lever throw to return them to the rotor. I don't know what's doing it. But that's the only possibility. Could you do a DH run that would normally give you lever to the bar, then stop without using the back brake and check it out? A quick update, and a data point for jazzanova. Got my set last night. Mounted them up without cutting lines to see how they feel. Front was fine, but the rear lever went almost to the bar. A quick bleed fixed it. It feels no different than the front now. Also, the deadband on these seems to be similar to Shimano, meaning there is a fair bit. if someone is expecting it to be short, they will be disappointed. The upside is plenty of pad clearance, even with new pads. I went with a set of these brakes on the new bike I just finished putting together (Yeti SB150). For the life of me, I'm not able to get the rotors to not rub. I have followed the directions and went 1/4 turn and spinning the wheel; have also pressed on the pads to make sure the pistons are fully retracted. Does anyone have any ideas as to what would cause this? Are they rubbing with the bike in the stand or do you hear them when out riding? Rotors warp when you bolt them up to the hubs. You tweak them straight by (clean) hand afterwards. The pistons and pads retraction needs time to relax. Ideally overnight once you've pushed them back. Otherwise just start riding and they'll sort themselves out in a few days. I got mine today and just finished installing them. Out of the box front one was softer than rear, but I had to shorten both hoses so it didn't matter. After bleeding both brakes feel the same. Installing and bleeding was uneventful. I was bit worried initially about working with DOT, but there were no problems. There was one thing during the bleeding of the rear brake that worried me. After you have pumped fluid back and forth and there are no more bubbles coming you will push fluid from caliper to master cylinder and at the same time flick the lever to get some air out from master cylinder. When I did that with front brake I got some bubbles first and then no more bubbles. With rear it was different. I kept keeping bubbles as soon as I flicked the lever. I finally gave up and completed the bleed. I hope that there is no problem with seals that would introduce air to master cylinder when I use the brake. They are rubbing really bad while in the stand, to the point I will not ride to it gets better. It's like the brakes a barely engaged. The rotors seem straight and are not rubbing in one spot, it's consistently rubbing through the entire rotation. The rubbing is so bad it's like the brakes are engaged. The rear is much worse than the front and by barely applying pressure to the front lever the wheel will completely lock up. I'm going to re-bleed and not sure what else to try past that. Something isn't right. They are either overfilled or you have alignment issues. Did you use the included bleed blocks? I'm hoping they are overfilled, going to take the bleed screw out and if that doesn't resolve the problem re-bleed. I ordered the hayes alignment tool but it has yet to arrive. Shouldn't need the tool. Pretty easy to eyeball them in place, and fine tune with grub screws. Should take no more than 5 minutes per side. I bought a Trek 8900 in 1998. It came with the first SID and Hayes very first hydraulic disk brakes. The SID was very light and worked good but it was a bit noodley. The Hayes brakes were the very worst. Light switch applications and no modulation. I put up with that till 2017 and gave the bike away to a needy sole. Needs a special bracket to bolt on modern stoppers. So finally they are making good brakes. We always need more choices. Will put a set on the very next build. XT and XTR works well but everything can be improved. Still looking for the perfect component. I'll give you a tip for modulation: Squeeze more gently. Modulation comes from your fingers. Not the brake. All brakes do is multiply your lever force into pad force on the caliper. It's directly proportional control. Squeeze harder and you stop harder. If you grab a fistful of Dominion A4 brake lever then your front wheel will stop. But with newer bikes being slacker you're better braced to not go flying over the bars. You need to push the pistons back before you bleed. The bleed blocks set the piston protrusion which sets the right amount of fluid in the system. So crack a bleed screw and push the pistons back. I appreciate your input. However you probably never experienced Hayes Hydraulic brakes from 1998. Of course it was their first attempt at it. I only lived with it for so long as I dislike using brakes and I was a big road guy in those days. There were the worst brakes I ever pulled a lever on. I still own and ride the original Hayes Mags. With 8" rotors. Loved the power, never had an issue with modulation. The Dominions have more power than those. Is it imperative that you use the Hayes rotors on the A4's? If not, would the Hope floating rotor be a good choice? Regarding adapters, which always trips me up when I build my bikes, I'm using a Cane Creek Helm fork which fits a 180mm rotor so I'm good there. Trying to find info on whether the Alpine 6 needs an adapter for the rear brake mount. Not finding anything yet online. Anyone have any thoughts on that? Looks like Bike24 and bike-discount.de have the best prices. Universal doesn't even show them on their website anymore. Any other places I should look at? I bought mine from r2bike. You should use the Hayes D7 rotors. They are thicker than most other rotors. Thanks Harold. Hope rotors are pretty darn thick too. Not exactly sure on thickness, but my LBS mechanic and I have fought with the E4’s a few times to get the rotors just right. He even commented this past weekend how thick the rotors are. I’ll have to dig around to see what I can find out. Dominion rotor is 1.95mm thick. The floating rotor attachment points look like you'll have to carefully check clearance. I wouldn't bother. Dominion rotors work. I did another bleed on my brakes and was able to get enough pad clearance to break them in, they work great. I would say modulation and power are right along with the MT7. Even riding in very muddy conditions I had no squealing which was nice and the pads currently installed work way better once they get warmed up. Have a slight warp in the rotors that I will need to bend out but first impressions are all positive. Thanks to everyone for the feedback on my issue and if anyone has any questions regarding the brakes I will do my best to answer.